Bolting a supercharger onto the side of a Honda CB750, then adding nitros, seems like the work of a maniacal, café racer obessed genius. And in this case, that’s exactly what it is. 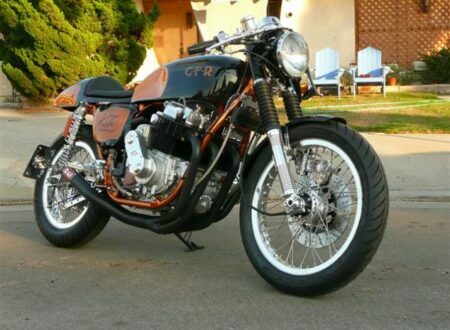 Built by Carpy, the tattooed two-wheeled engineering whizz over at CB750 Café.